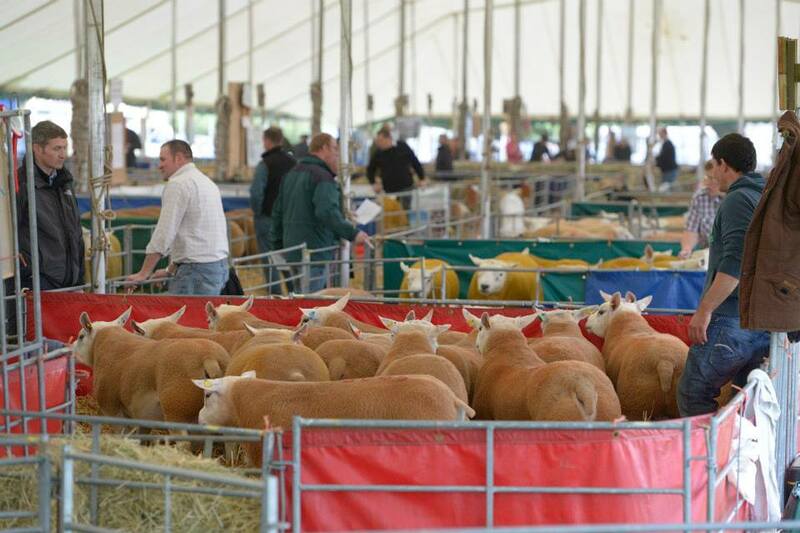 Over the last few weeks I have struggled to decide on a topic for my first JCM blog – that was until Friday, when I travelled 200 miles south to the Scottish Borders and experienced my first Kelso Ram Sale. The Kelso Ram Sale is considered by many in the livestock industry to be the biggest, best known, one-day event of its kind in the world. Keeping with tradition, a bell was rung at exactly 10am by the Border Union Society Secretary to allow the seven auction companies to take to their make-shift rostrums and start selling approximately 5,000 rams simultaneously in 16 different rings. These are set up within seven marquee tents, generating a staggering 170,000 square foot of canvas – the equivalent to over four acres. 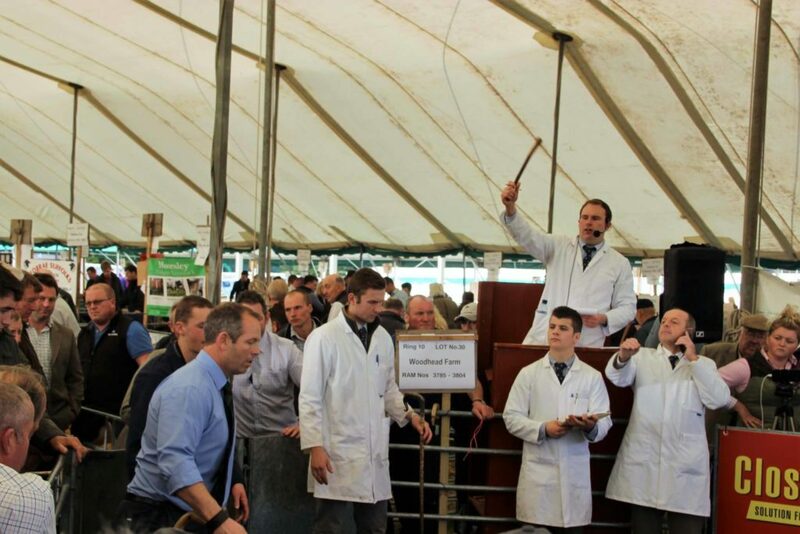 The echo of competing auctioneers, bellowing of tups and the buzz of nearly 10,000 buyers and spectators sets the scene of this unique event which attracts farmers from across Europe including Ireland, Germany, France and Holland. Last Friday was the 181st Kelso Ram Sale to take place since the first in 1863, when only 130 Cheviots and Border Leicesters were sold for an average between £3-4. This year’s sale had an average of over £600, with a turnover just shy of £3 million. Breeds have developed since 1863 and now farmers can have the pick of over 16 different pedigree and cross rams from the well-known Texel and Suffolk to Vendeen and Millennium Bleu. 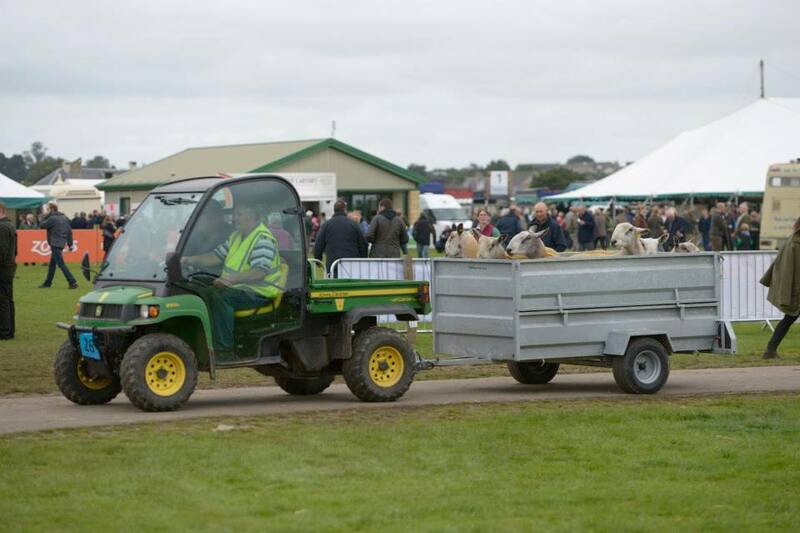 And the best bit about this unique sale – the “Tup Taxis”, where dozens of quad bikes with sheep trailers fly around the field picking up tups and escorting them with their buyers back to the car park. I’m sure the rams sold last Friday are all eagerly counting down the days until they are introduced to their new lady friends and with a good strong ram being able to tup as much as 100 ewes, the 5,000 Kelso rams could tup around 500,000 females this tupping season! Despite many changes to the agricultural industry since 1863, this famous ram sale keeps its roots and traditions firmly in place. The breeds and fashions may have changed, but the bidding process and the reason farmers from across the world congregate here remains the same. With innovation and technology becoming more dominant within the industry, it is still important to support these traditional events which have shaped our industry and made Scotland one of the best-known farming industries in the world.